Northeasterners have never been good at waiting, but that hasn’t stopped our friends in Newport from announcing the Folk Festival lineup one band at a time. Since we broke the news about the addition of Andrew Bird, Newport has dropped bomb after bomb, including a ton of our favorites like Spirit Family Reunion, Tift Merritt, Iris Dement, Rayland Baxter, Father John Misty, Jason Isbelle and more. One band I’m especially excited to see is Chesapeake, Virginia-based The Last Bison. Growing up just up the road in Richmond, I frequently drove past The Great Dismal Swamp that so fittingly neighbors Bison frontman Ben Hardesty’s home. Like the Swamp, which we were told ghost stories about in school, the band’s debut EP Inheritance carries an ominous presence. 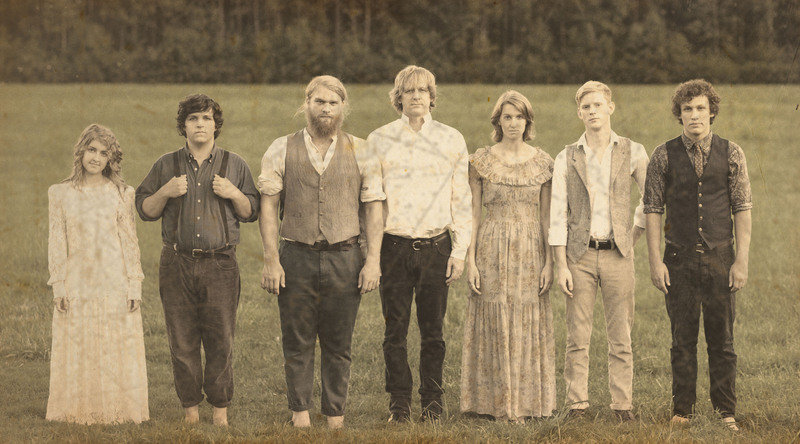 However, it’s a presence that’s balanced by the fact that the band is incredibly homely – with it’s makeup of a cast of Ben’s family and close friends who grew up playing together around the bonfire and leading songs at church. In it’s five songs, Inheritance stands out as it features the band’s polished and artistic instrumentation and soulfully performed lyrics. You can check out a performance on the band’s current tour around the country, which runs through the Spring and into Summer, including stops at SXSW and FloydFest. Check out two songs recorded at the band’s recent Wild Honey Pie BuzzSession in Brooklyn. UPDATE: The band released its full-length debut album, also called Inheritance (Amazon MP3 & Spotify), on March 5th.